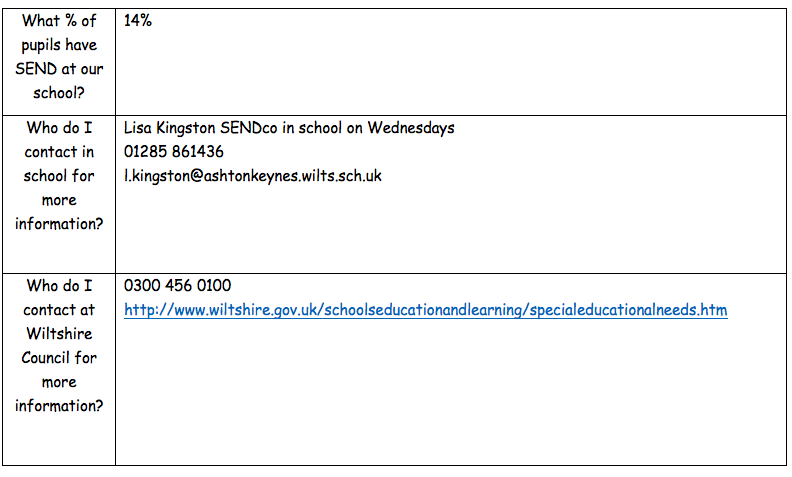 Information relating to Special Educational Needs and/or Disability provision in our schools. Formulated by our cluster SENCOs (based in North Wiltshire) for all of our children and young people. If your child has any additional needs when they start school please let the school Special Educational Needs & Disability Co-ordinator (Mrs Lisa Kingston) know and a support plan can be put into place immediately. If your child is identified as having any additional needs whilst they are at school we will plan together and have regular meetings to ensure we do our very best for your child. We try to ensure that parents are well informed about all we do at school. The following question/information list advises what services we can provide/support or signpost to. 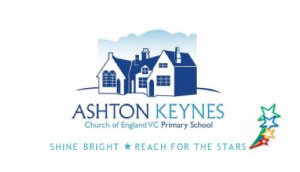 Our teachers and teaching assistants take every opportunity to keep up to date with all areas of need and we encourage training in as many areas as we can. If your child has needs that are not listed below, or needs that you feel we may not support fully, please come in and chat with us to see if we can work something out. Click on the question to provide the answer. How will the school identify and/or let me know if my child has SEN? What support will there be for my child? How will school keep me informed about my child’s progress? Are parents and carers involved in planning, assessment and review of needs? General things you might want to know? How accessible is the school setting? Who will be responsible for my child’s day to day needs? Will my child be able to go to after school activities and trips? Who makes the decision about how much support my child will have? Who should I talk to if I have a concern about my child in school? What is a ‘one page profile’? What is a ‘My Plan’? Who makes sure that children with SEN are looked after well? Who do I contact if I am not happy with the support or education my child is getting? What will happen when my child moves to their next school? We are very keen to hear how you think we can improve our service, so feel free to contact the school SENCO and tell us what you think!